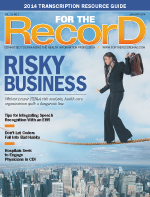 Are health care organizations paying enough attention to proper HIPAA risk analysis? If not, it could prove costly. Last summer, Affinity Health Plan, a managed care plan company based in New York, agreed to pay the Office of Civil Rights (OCR) $1.2 million to settle a HIPAA data breach case. While data breaches may not be unusual, this case was unique. The incident occurred in 2010 and resulted in more than 300,000 individuals having their data compromised after they were left on the hard drives of copy machines that Affinity had leased and returned. According to the OCR, it was the first HIPAA settlement involving copiers. The salient point is that not only did the breach cost Affinity a lot of money (along with the resulting bad publicity), it demonstrated how exposed organizations can be when it comes to issues of privacy and security, says Mike Semel, CEO and founder of Semel Consulting, which specializes in HIPAA compliance. “How many people even knew that copiers had hard drives?” he asks, pointing out that the Affinity breach demonstrates that when an organization needs to perform a HIPAA risk analysis or assessment, it must be thorough. Chaput also notes that since the OCR began dialing up enforcement of the privacy and security rules in 2009, every investigation that resulted in some kind of corrective action plan had the investigated organization cited for not having performed a complete risk analysis. Whether the issue is a bunch of useless tapes or a copier machine with a hard drive, it’s clear health data sources can pop up anywhere. To help combat this likelihood, Chaput says it’s necessary to complete an asset information inventory. “We are looking for anything that creates, receives, maintains, or transmits protected health information,” he says. Clearwater Compliance uses an asset inventory process that Chaput describes as an “exhaustive template” of possible locations of protected health information. The idea is to help “stimulate the thinking” about where all of an organization’s health care data are hiding. “It’s largely a manual process but, as with everything in life, you can put some order and discipline around it,” he says. Semel says that when looking for data, “You have to get past the preconceived notion that all data is in the patient care record or the electronic medical record.” In that sense, he points out, the Affinity copier case is a useful reminder that data can live in the most unexpected places. Chaput says once assets have been identified, organizations must determine possible threats, such as a laptop being lost or stolen, and the asset’s vulnerability, such as the fact that the laptop is unencrypted. “When all of these things exist—the asset, the threat, and the vulnerability—you have a risk that needs to be analyzed,” he says. Berkeyheiser recommends pulling information about the privacy and security regulations from the Web, whether from the Office of the National Coordinator for Health Information Technology (ONC) or the OCR. This is particularly true for organizations creating a risk analysis from scratch. As for who makes an ideal candidate to handle the risk analysis task, Berkeyheiser says one aspect should take precedence. “Focus on breach. Breach is by far the most important thing that has happened in the last few years that continues to get a lot of public attention,” she notes. Since 2009, the OCR has been recording and publishing information about large-scale health data breaches on its website. Berkeyheiser recommends risk analysis staff members peruse those incidents to determine whether any could possibly apply to their organization. Elliott also suggests organizations, particularly smaller providers, visit federal websites for privacy and security information pertaining to issues such as administrative security and physical and technical safeguards. “But [performing a risk analysis] is still a big undertaking, particularly as you’re moving into electronic health records,” she says, adding that larger organizations probably have their own privacy and security officer and should be capable of hiring an outside firm to conduct a HIPAA analysis if necessary. Analyzing HIPAA compliance risk “is not a one-and-done” deal, particularly in light of the changes associated with EHR implementations and meaningful use, Berkeyheiser says, while noting that it is important to choose opportune times for an analysis. “You should be looking for significant changes in the way you handle your data, whether it’s an organizational change or a technological change, and then do a risk analysis,” she says.